Peggy Adams Animal Rescue League Charitydine.com, a popular resource for deeply discounted dining certificates has partnered with The Peggy Adams Animal Rescue League that provides shelter to lost and homeless animals and provides other important services like spaying and neutering as well as medical services. It helps to care, protect and find homes for neglected and homeless animals, and it helps to advocate for animal welfare in the Palm Beaches area and nationally. The organization helps to build the bond between humans and animals and provides education in the local community. It offers an important service for thousands of animals in the area and helps to protect companion animals that have been uncared for and neglected. It also fights for the rights of animals in the area and helps to find high quality homes for as many abandoned animals as possible. History of the Peggy Adams Animal Rescue League The Peggy Adams Animal Rescue League was founded in 1925 by a group of eight prominent ladies in the community. They met at the home of Amy Lyman Phillips to decide what to do the problem of animals that were left by tourists from the north. The League emerged as the result of that meeting. A hurricane in 1928 destroyed the first shelter and during World War II the shelter moved to a larger location. A spay/neuter clinic was started in August of 1973 and during that year low cost spay/neuter services were provided to animals in the community. The shelter has provided sterilizations for over 150,000 animals since that year, and for the approximate 80 years of the League’s existence it has depended on volunteers and donations to function. 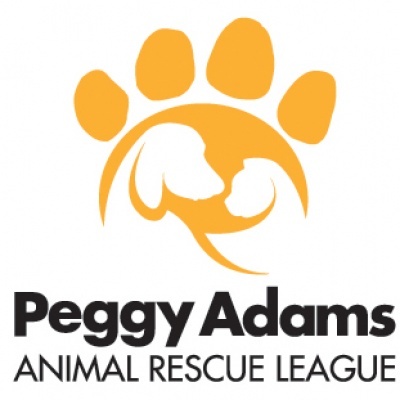 Statistics about the Peggy Adams Animal Rescue League The Peggy Adams Animal Rescue League helped over 28,800 dogs, kittens, cats and puppies in 2014. It made over 43,000 phone calls and provide over 10,700 neuter and spay surgeries. It provided temporary shelter for over 5,300 lost, homeless and injured dogs and cats. It helped over 3,900 abandoned animals find new homes and the foster volunteers cared for 1,300 dogs and cats. 269 lost animals were reunited with their families with the help of the rescue league and over 500 animals were transferred from Palm Beach County Animal Care and Control. The shelter also had 350 volunteers who donated over 46,000 hours to help shelter animals and ensure that the goals of the league were accomplished. The Rescue League does not receive public funding One important thing to note is that the Peggy Adams Rescue League does not receive public funding from any entity including the government, state or city or any other local organizations. Support for the league depends on the generosity of individuals, corporations and foundations. If you donate to the league you directly support its programs and the animals that depend on it. The League offers the Shaggy Shoppe Pet Boutique which is a small pet store that helps to support the League. You can purchase ID tags, leashes, collars, litter boxes, cat toys, cat beds and a wide variety of other pet toys and items from the store to support the League outside of your donations.